The Honorable Minister Louis Farrakhan has been the victim of a vicious and malicious propaganda campaign designed to weaken him and make him to retreat from his bold challenge to the powerful forces of the continued oppression and exploitation of the Black community. Instead of retreat, the Minister has become stronger. Chief among those who have dogged his trail seeking to smear his noble name and person has been the Anti-Defamation League of B’Nai B’Rith. In a 1994 internal report, the ADL proposed the punishment of any person or entity that would give the Minister a platform to preach the truth. 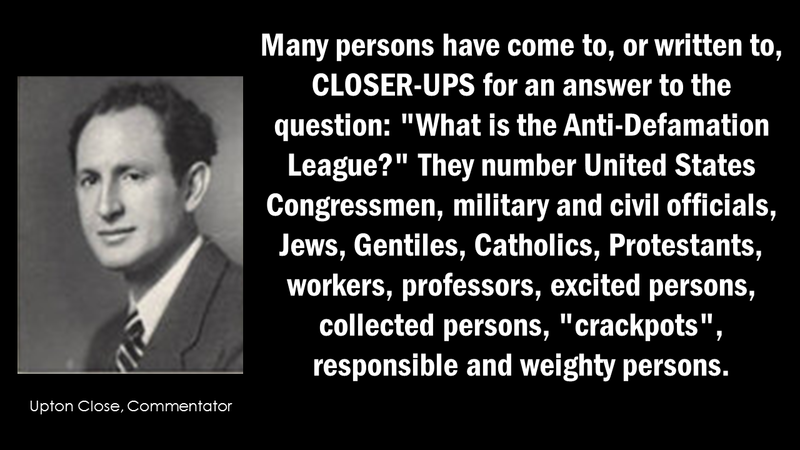 Since the ADL’s founding in 1913, it has been identified as an organization that uses the term “anti-Semite” as a weapon against those who criticize it and are in opposition to their political positions. Commentator Upton Close introduced U.S. military serviceman Robert H. Williams’ pamphlet entitled The Anti-Defamation League and Its Use in the World Communist Offensive. Throughout Williams 40 plus page essay, which has been criticized by the ADL and Jewish periodicals, he sketches the architecture of the “anti-Semite Smear Campaign” used by the ADL. 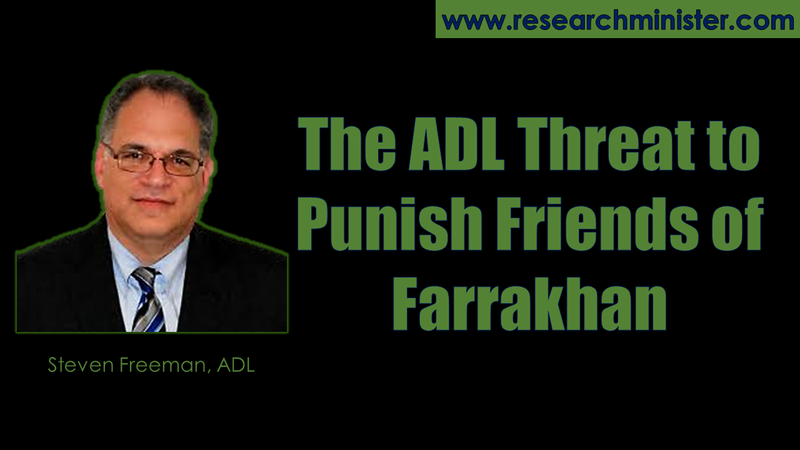 Williams’ description of ADL tactics from the 1970s is the same being discussed by Steven Freeman in 1994 where Minister Farrakhan is the target. “The purpose of the remarkable fund and unusual staff engaged in administering it is generally given as: to combat racial and religious intolerance, specifically against Jews. This is done through: (1) a negative or suppressive program against real and supposed opposition, and (2) a positive or propaganda program of great scope and power. The negative, suppressive program sets up a self-constituted censorship over public speech, fixing a watchful eye on every radio, every lecture platform, every publisher, every movie film producer, every school teacher, every political party, every public official and every citizen who becomes conspicuous or influential. The surveillance extends to private clubs and drawing rooms. The directors of an exclusive club in Miami, Florida, were told by two self-designated agents of the A D L whom their club should not permit to address it. These agents offered to provide the expenses of calling off the engagement. The same suppressive attempt has been made many times in many parts of the nation. According to government officials in investigative duties, and to my own information when on duty as a counter-intelligence officer, the League maintains a large number of investigators who gather information on any individual marked for surveillance or public disgrace. Information goes to a central file. From there it is distributed to branches and to an interminable number of groups or individuals, either automatically or on request. Representatives of the Anti-Defamation League, according to its own “confidential” letter of appeal in 1945, have called on thousands of editors and publishers to persuade them, or hint to them, not to publish material which would displease the League, such as speeches by persons on the A D L black list. The editor of one of America’s great dailies told me that local A D L representatives called on him, bringing along an expert from the Chicago headquarters. Their request was that the newspaper should never mention certain men favorably. Beyond that they were vague as to demands. In this way they made it plain, I was told, that they were putting in their presence to alert the editor not to offend them; a kind of hooded censorship. The editor recognized that they could withhold enough advertising to cut deeply into the paper’s revenues, perhaps bankrupt it, and that they could smear him till he would have to leave town. A careful study shows that the persons singled out as A D L victims are seldom anti-Semitic but are always anti-Communist. Here is an illustration of how the smear works. A lecturer, John Blank, talking against Communists and upholding Jeffersonian principles of our Constitution, but never having said a disparaging word against a Jew as a Jew, is booked to lecture at a convention, a forum or club—perhaps a Republican club. As soon as the lecture engagement is announced, some prominent citizens—Jewish or Gentile or both—call on the booking committee to urge cancellation of the lecture. In a confidential manner they “inform” the committee that John Blank is anti-Semitic. Anti-Semitism is an ugly word in America. It is apt to frighten the men or women of the program committee who booked the lecture. Likely they are handed some typed or printed material, nearly always anonymous but in some instances bearing the stamp of the Anti-Defamation League or group friendly to it, which is cleverly put together to show what a vicious, un-American character is this man Blank. The club can see that it is going to be intimi- dated and harassed locally and, if it is a political club, that it may lose some support for its candidates at the polls and Jewish financial support for election campaigns if it refuses to cancel the scheduled lecture. Often the local citizens who make the contact with the club officers are gullible innocents. They have been approached by unseen figures who have sold them a bill of goods. They do not always think to demand proof. The club officers likewise may not think of that. They do not always investigate to learn what John Blank is really saying. They may not examine the smear literature closely to see that it is a clever fraud. Blank is never given a chance to face his original accusers and demand to see their defamatory evidence; he is never given the chance to defend himself. The press carries a sensational story that Blank’s engagement was cancelled, due to something mysterious in his past or present connections; the public does not understand, and Blank’s reputation is injured. The word goes around that he is “a Fascist or anti-Semite or something.” His chance to continue earning a living in his profession is damaged, as is his opportunity to serve his country. Big names often are used further to condemn the anti-Communist speaker. 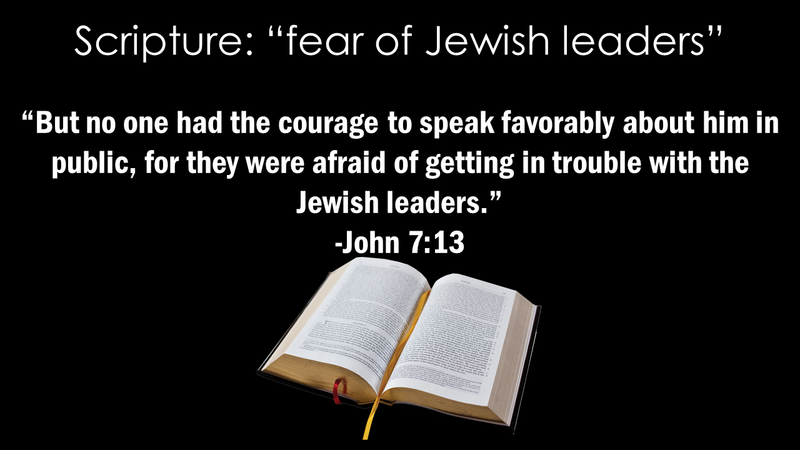 For example, when a certain lecturer in a Pennsylvania city last year revealed that Communists are plotting to throw Jew against Gentile, he was reported instead as having delivered an anti-Jewish speech and a newspaper asked the Governor to comment. The Governor condemned anti-Semitism, as was proper; but when he learned the true text instead of distorted version of the lecture he had not himself heard, he issued another statement correcting the erroneous impression made by his former statement. The defamation press was loath to carry the correction or played it down so that it was not widely read, until the governor became insistent. In light of the recent firing of Brother Marc Lamont Hill from CNN, the facts presented here are important considerations for the public to understand how the ADL really works to injure those it targets for its smear campaigns. 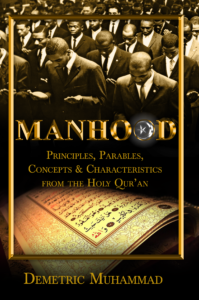 Minister Farrakhan and those who befriend him and his ministry -of which Marc Lamont Hill is but one- should be supported and defended against this terrible smear campaign aimed at destroying their reputations and ability to earn a living.